Hello I hope you are all enjoying the autumn weather or spring weather if you're on the opposite side of the world, can't say I am! I want summer back... Anyway after the randomly rainy weather forced me inside yesterday I figured what better way to spend the day than making macarons? I'm a sucker for macarons and this recipe is super easy and creates a light and tasty treat. ~ Sift icing sugar and almond flour into a medium bowl then mix. ~ Whisk eggs in a separate bowl with an electric mixer until soft peaks form. ~ Add cream of tarter to egg mix and combine. ~ Add caster sugar to egg mix and combine. ~ If you wish to add food colouring add the desired colour to the egg mix and combine. ~ Fold the egg mix into the flour mix until completely incorporated. ~ Pipe the mixture onto a baking tray in circles about 3cm in diameter. ~ Bang the trays slightly to let any air bubbles come to the surface, then let macarons stand for 30 minutes. This allows the macrons to become firmer before baking them. You should be able to touch the macarons without the mix sticking to you. ~ Transfer macron shells to the oven and bake for 15-20 minutes or until the shells harden. ~ Pour two teaspoons of cool water under the baking paper and allow the macaron shells to stand for about 5 mins before transferring them to a cooling rack. The cool water creates steam that helps unstick the macrons from the paper. 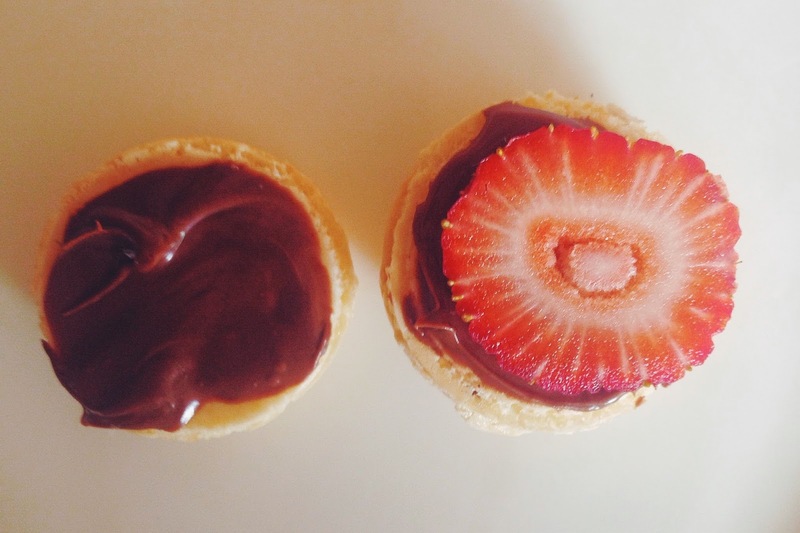 ~ Fill the macrons with nutella and fresh strawberries just before serving. 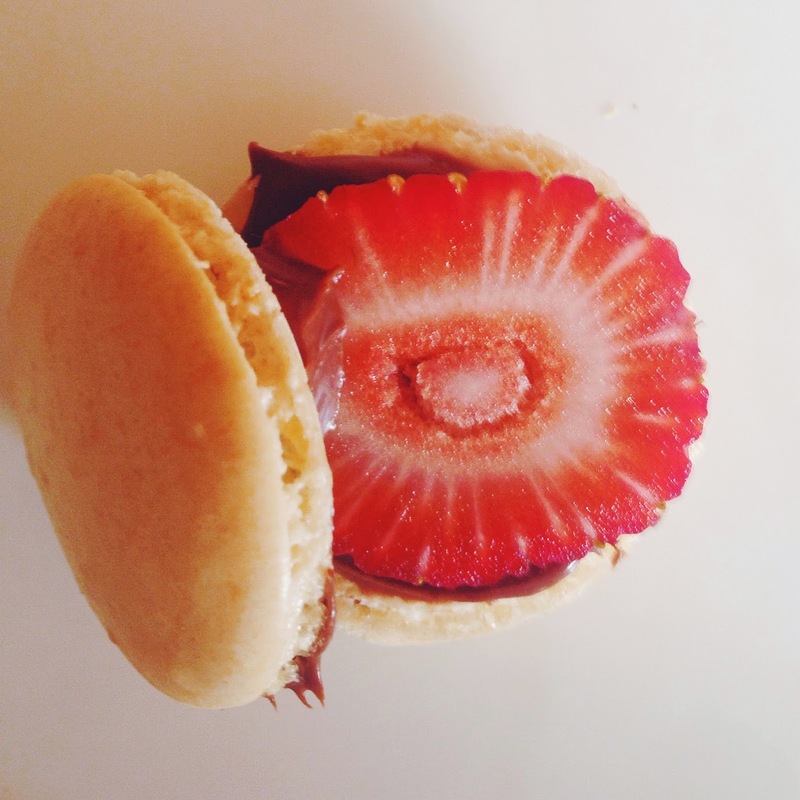 The strawberries can make the macron go soggy if left in the macaron too long. Best of luck in your baking endeavours! Yummy Raspberry and Avocado Smoothie!